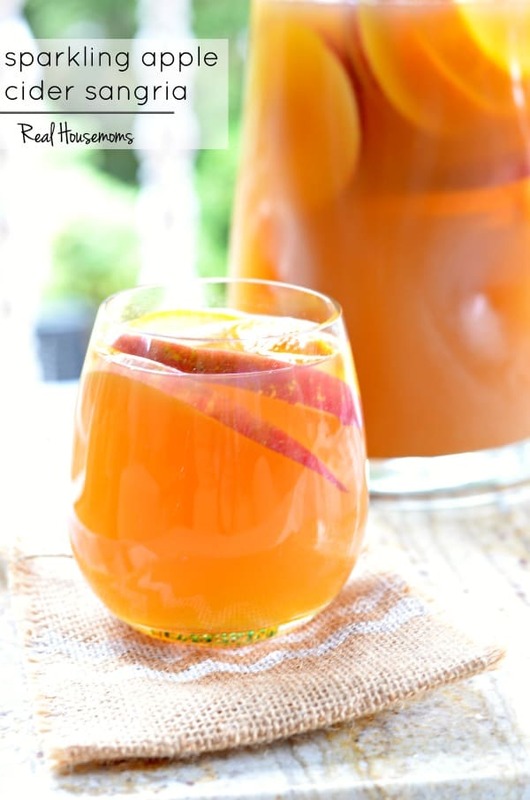 SPARKLING APPLE CIDER SANGRIA is perfect for getting together with friends in the fall! It’s got the flavors of cider and ginger then topped with champagne for a bubbly finish! All the cool weather has me ready to pick apples. My mother-in-law is coming to town for her first visit to our house since we moved up to Portland. We can’t wait to show her all the fun fall things here and of course apple picking has to be part of it! I love grabbing the apples from the tree but I REALLY love to get the fresh cider, apple donuts and fritters afterwards! I make a lot of tasty apple recipes with my loot, like this Deconstructed Apple Pie and these Apple Pie Oatmeal Bars. This Sparkling Apple Cider Sangria is the perfect way to end a day of apple picking or just hanging out with friends watching the leaves fall to the ground! 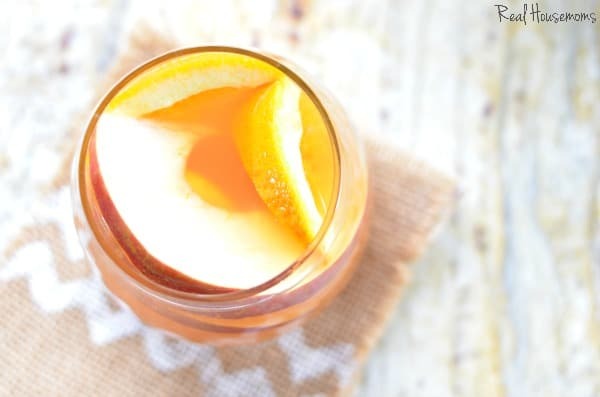 SPARKLING APPLE CIDER SANGRIA is perfect for getting together with friends in the fall! It's got the flavors of cider and ginger then topped with champagne for a bubbly finish! enjoyed this as the cocktail during my husbands birthday celebration. So easy to make and so smooth and wonderful. Not too sweet so enjoyed by all the adults. This has gone into my list of favorites.